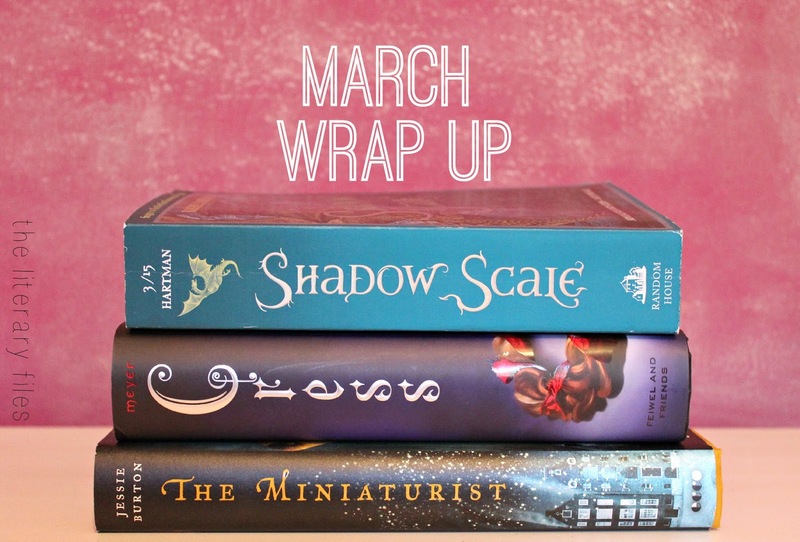 I didn't read as many books as I read in February, but I knew that insane total of eleven books wasn't going to be repeating in March. I usually read in the evenings, but last month I binge-watched the entire series of Parks & Rec so that took away a good chunk of reading time. I so don't regret it though, I'm totally in love with that show, I just wish it wasn't over! I'm in the middle of listening to Yes Please by Amy Poehler. I'm seriously loving it so far! Amy narrates it and there's also a few special guest narrators like Carol Brunette, Seth Meyers, Patrick Stewart and even more. I have the physical book too, so I'm following along with the narration since I'm not the greatest at concentrating while someone else is reading. I also started Ugly Love by Colleen Hoover because of an awesome review by Benish from Feminist Reflections (you can check out Benish's review here.) I'm a little over halfway through and can't wait to see what happens next! This month I plan on reading and reviewing Hit by Delilah S. Dawson, Hollow City by Ransom Riggs, Trigger Warning: Short Stories and Disturbances by Neil Gaiman and Flunked (Fairy Tale Reform School 1) by Jen Calonita. I am not good at concentrating either. I do concentrate while reading, but when I am listening to audiobooks... hmm... that doesn't go as planned. Hey Benish! OMG it was SO good! I finish it a day or two ago and loved it! I agree, Hopeless was a little much for me in some places.